Launching on Nov. 18, Neverwinter: Rise of Tiamat follows the events of the fourth Neverwinter module – Tyranny of Dragons – and the Siege of Neverwinter event. 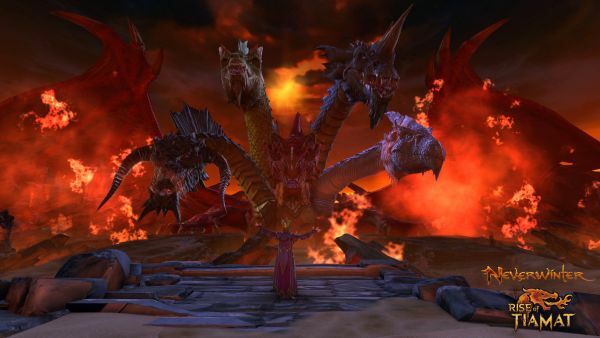 As the Cult of the Dragon look to resurrect the five-headed draconic goddess Tiamat from the Nine Hells, adventurers must band together to prevent the catastrophic takeover of the city of Neverwinter. Neverwinter: Rise of Tiamat complements the storyline in the new tabletop adventure module from Wizards of the Coast, allowing for even more fan interaction with the world’s greatest roleplaying game. In anticipation for the launch of Neverwinter: Rise of Tiamat, Perfect World Entertainment and Cryptic are revitalizing the popular Neverwinter in-game event, Respen’s Marvelous Game, from Nov. 13 to Nov. 17. Originally launched on April 1, Respen’s Marvelous Game transforms a party of adventurers into miniature statuettes as they take part in adventures that resemble classic Dungeons & Dragons tabletop campaigns.